If designers opened up more – about what we do, and how we work – perhaps we could start making a genuine difference to the world. We’re over the moon to announce world-renowned designer and writer Michael Johnson is coming to Bristol. Michael was recently awarded the D&AD President’s Award for his role in promoting design and creativity, as one of the most inspirational speakers in the design world this will be one evening not to miss. 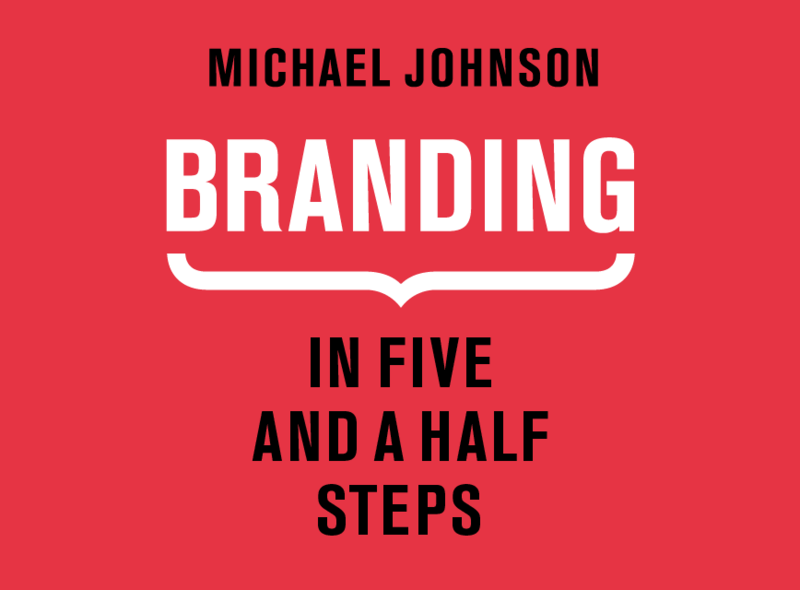 Michael will talk about his new book Branding: In Five and a Half Steps; in which he shares his trade secrets on how powerful strategy leads to powerful brand work. Passionate about open approaches to design and sharing – this talk will inspire us all to open up and learn from each other. Better still Michael will also be running a D&AD Training Workshop on Branding Demystified. Michael set up Johnson Banks in 1992. His company is known for how they define and design brands that make a difference. They work with people who want to do big things: tackle hunger; fight for an open internet; address child poverty; raise billions for innovation and education; bring culture and enlightenment to the world; create products that question the norm; shift paradigms and change lives. Their projects are as varied as world famous museums such as the Science Museum, art centres in Philadelphia and Paris and not-for-profits across the world. They rebranded the pioneers of venture philanthropy, Acumen Fund, and have been working with Mozilla, producers of the Firefox browser, in the world’s first truly ​‘open’ rebrand. Globally they have just re-branded Action Against Hunger, in Europe they are working with the Gates Foundation and in the UK they are working with the University of Cambridge. Johnson has won most of the world’s most prestigious design awards, including 7 yellow, one black and now a gold President’s Award at the 2017 D&AD Awards. His definitive guide to the branding process, Branding: In Five and Half Steps (Thames and Hudson 2016) is a bestseller on both sides of the Atlantic, following on from his first book, Problem Solved (Phaidon Press 2012). Read more about Michael Johnson. We’ll be taking photograghs at this event for use on our website and social media channels, if you have any objections, please talk with one of the WEDF team.